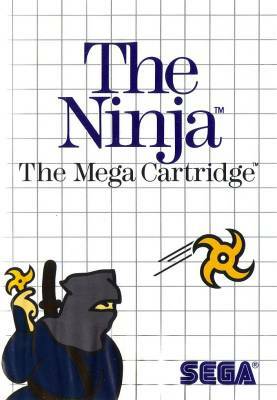 The Ninja (ザ・ニンジャ, 忍者, 인자) - Games - SMS Power! 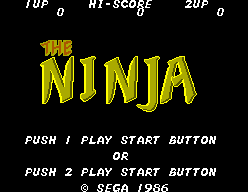 The Ninja is the sequel to Arcade and SG-1000 game Ninja Princess. The box itself refers to it as "忍者プリンセス１メガ版" (lit. 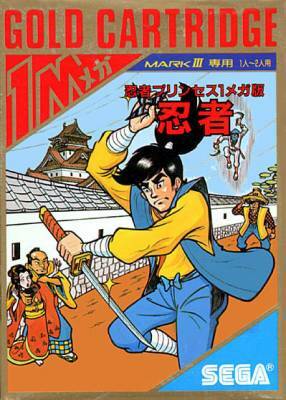 "1 Mb version of Ninja Princess"). The time is Japan's colorful past. 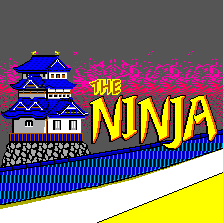 But right now you have your hands full of trouble and Ninja darts. The darts are your secret weapons. The trouble is caused by the arch-tyrant Gyokuro, a merciless warlord who holds a princess prisoner in the subterranean vaults of his Ohkami Castle. Can you save the princess? 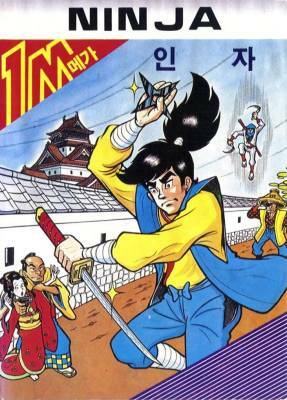 Defeat the cruel Gvokuro and his henchmen and bring peace to the Castle Country? 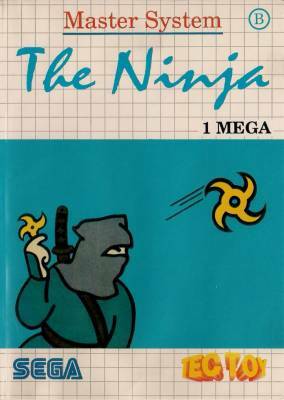 You have your hands full, But you also have your darts, your Ninja combat skills, and your feeling that a Ninja is invincible. Remember, too, you are fighting for a beautiful princess!